Nine years of crisis have taken their toll on Syria’s economy and infrastructure, but the first steps of recovery are at last under way. Displaced families are starting to return to their towns and cities to begin the long process of restoring their lives, livelihoods and communities. Since 2016, the United Nations Development Programme (UNDP) has been leading efforts to rebuild the fabric of Syrian society. The UNDP’s efforts in Syria are represented by the flagship UNDP Syria Country Programme, which has aimed to create sustainable livelihoods opportunities for Syrians and restore access to basic social services and infrastructure. To understand the impact of these interventions, the UNDP engaged Triangle to undertake two outcome evaluations. 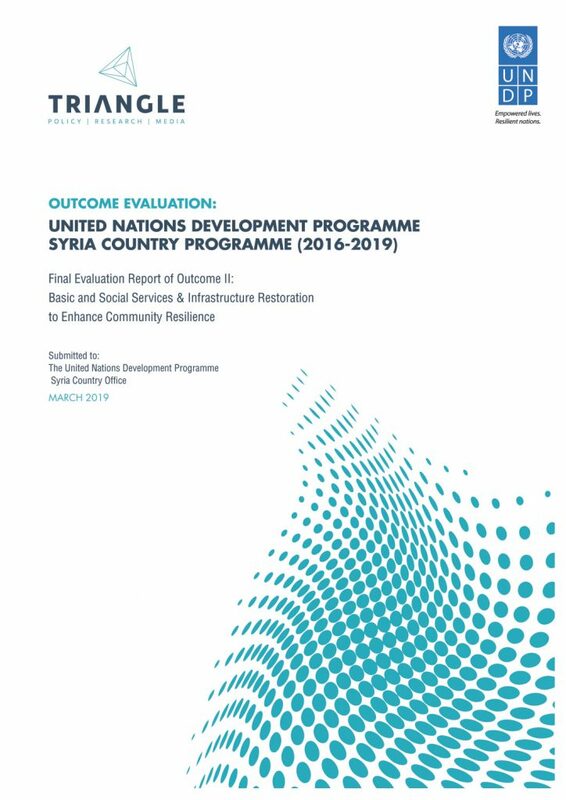 Conducting extensive field research across seven Syrian governorates, Triangle combined a nationally representative survey of 1,036 beneficiaries with 13 focus groups and 18 key informant interviews to produce key findings and actionable policy recommendations for the UNDP. The findings are available as two evaluation reports, one focusing on infrastructure interventions and the other on livelihoods interventions. 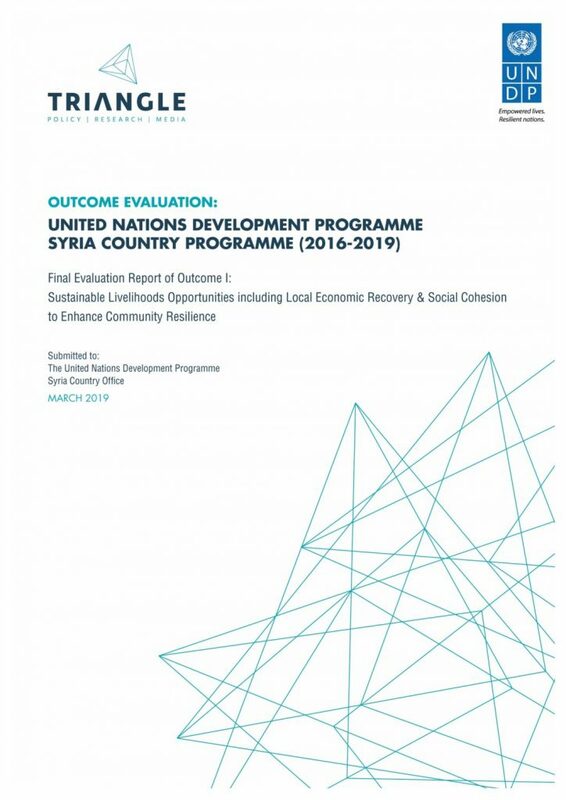 These reports represent the first large-scale evaluations of non-humanitarian intervention in post-crisis Syria, and will be a vital resource for policymakers, humanitarian practitioners and members of the general public wishing to understand the challenges – and possible solutions – involved in the process of restoring Syria’s economy and infrastructure.